Last week, Kraft Heinz (KHC) shared a trifecta of bad news with shareholders, including asset impairments, disappointing outlook and a dividend cut. Worst of all, the board of directors announced their intention to cut dividends to shareholders by 36% to 40 cents/share. This bad publicity soured investors appetite for the company, which sent shares tumbling to all-time lows. As part of my process, I sell after a dividend cut. This is why I do not own Kraft Heinz anymore. I did want to share my experience with the stock however, in an effort to show you that even when things go wrong, you can still do ok as an investor. I know that a lot of naysayers will use the Kraft Heinz dividend cut to scare you about dividend investing. I just wanted to provide some perspective. Back in April 2010 I bought Kraft Foods (KFT) at a little over $30/share. This was the company that was a spin-off from Phillip Morris in 2007. Unfortunately, Kraft ended up freezing dividends, which is why I did not add more shares in the future. In October 2012, Kraft Foods (KFT) split into two companies. One was called Mondelez International (MDLZ), while the other one was renamed to Kraft Foods (KRFT). For every share of Kraft Foods (KFT), I received one share of Mondelez International (MDLZ). For every three shares of Kraft Foods (KFT) I received one share of new Kraft (KRFT). In 2015, Heinz announced its intention to purchase Kraft (KRFT). As a result, I received a share of Kraft-Heinz (KHC) as well as a one-time dividend of $16.50/share. 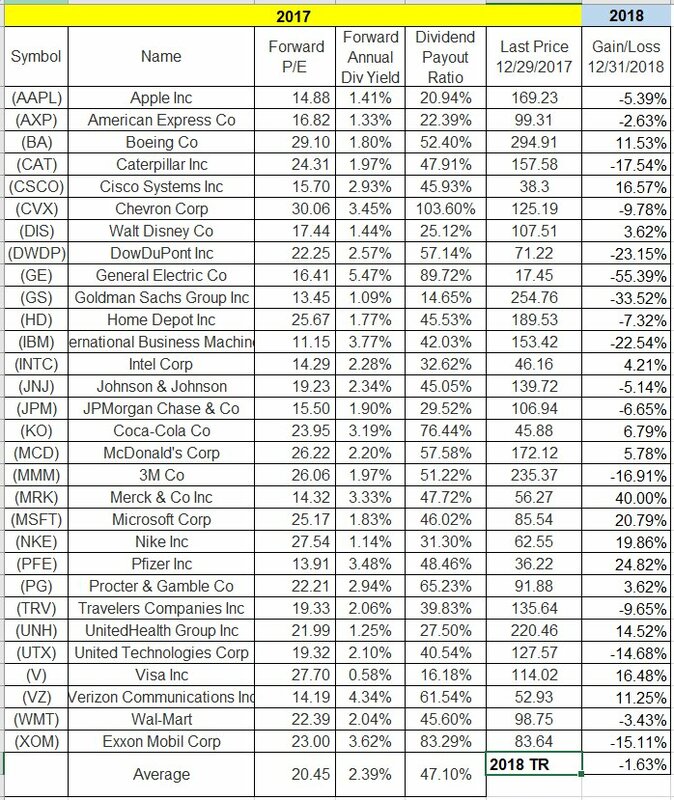 Fast forward to the dividend cut that was announced after the market closed on Thursday, February 21, 2019. When the stock opened on Friday, February 22, 2019, it traded at $35.85/share. I was able to sell shortly after the open at a price that was a little over $35/share. However, I also had one share of Mondelez at the close of business on Friday, which sold for a little over $47.50/share. Share prices are approximations, because the prices at which an investor bought or sold would have varied a little depending on the time of day that they bought or sold. The end result is not materially different, hence I do not want to show perfect precision ( share prices are influenced by the fear and greed of the fallible human beings creating these share prices, so they definitely lack precision and rationality in most cases anyway). The price at which you or I buy and sell will vary from person to person. However, the cash dividend is the same for everyone who owns one share of a stock. An investment in April 2010 of $30 turned out to be worth a little over $59 ( 1 share of Mondelez and one-third share of Kraft Heinz). I would say that doubling the value over a period of 9 years is not a bad return – approximately 8%/year. However, this calculation doesn’t even include dividends received throughout the years. As most of you are aware of, I do not automatically reinvest dividends for several reasons. The article today adds another reason – risk management. I used all dividends received from Kraft, Kraft Foods, Kraft-Heinz and Mondelez to be added to new cash I invested, and allocated to new investments I have made over the past nine years. This increased my portfolio diversification, and reduced my risk. Kraft Foods had managed to grow its annual dividends for several years in a row. Unfortunately, at the end of 2009 it kept dividends unchanged. I was hopeful that this is a temporary measure, which is why I invested in the stock. Unfortunately, by the end of 2010 it was obvious that its dividend streak will end. Hence, I never added to the stock again. But between 2010 and 2012, the Kraft Shareholder would have received $3.19/share. This figure is adjusted for the fact that the first quarterly payment in 2010 was not received due to the purchase being done in April. As I discussed above, the shareholder received one share of Mondelez (MDLZ) in late 2012 and one third of a share of Kraft (KRFT), for every share they owned of legacy Kraft Foods (KFT). In the case of Mondelez (MDLZ), you can see that for each share an investor could have generated $4.26 in cash dividends between 2013 and 2018. In the case of Kraft-Heinz a shareholder would have received $9/share between 2015 and 2018. Since the investor owned 1/3 of a share, they ended up with $3 in cash dividends. In the case of Kraft Foods, shareholders received $22.30/share in dividends between 2013 and 2015. This figure includes a special dividend of $16.50/share, paid to Kraft shareholders ahead of the acquisition by Heinz in 2015. Since the investor owned 1/3 of a share, they ended up with $7.40 in cash dividends. So by last Friday, a shareholder would have received $17.88 in cash dividends between 2010 and 2018. This means that the investor in Kraft from 2010 would have recovered almost 60% of their original purchase price in dividends alone. Of course, the shares they received were worth roughly $59.20/share by close of business on Friday, February 22, 2019. This is almost a double from the $30/share paid in early 2010. If we add in the amount of dividends and shares owned, we end up with a total value of $77, which is a decent gain from an entry price of $30/share in 2010. This is why I am going to ignore any naysayer who uses the dividend cut at Kraft-Heinz to scare you out of investing in dividend paying stocks. There is a high chance that this naysayer overdosed on papers from finance PhD’s and ended up buying emerging market funds or foreign stock funds in 2010, in order to fight their home bias. Just for reference, an investment in any of the international stock market funds in April 2010 would not have not as well as an investment in Kraft during the same period of time. Today we learned several important lessons. The first lesson is that just because a company stumbled on its bad luck, that doesn’t mean that its shareholders cannot do well financially over a period of time. The second lesson is that holding shares for a long period of time can increase the odds of a successful return on investment. The third lesson is that dividends represent a return on investment and a return of investment. In the case of Kraft, the original shareholder received almost 60% of their purchase price through a dividend rebate. In addition, they also ended up doubling their money on capital gains only, by owning stock worth roughly $59/share. The fourth lesson is that valuation does matter. When Kraft was purchased in early 2010, it yielded close to 4% and sold for roughly 15 times earnings. Even if the company had never increased dividends, and the stock price didn’t go up, shareholders would have generated a 4% return on their investment. This is a very good margin of safety where you are in a position of “heads I win, tails I do not lose too much”. The fifth lesson is to be diversified, and to be a long-term investor. While this example could have easily led to losses, it is important to remember that to succeed, you need to put the odds in your favor. This means selecting quality companies at good valuations, being diversified, and maintaining proper risk management techniques. A sixth lesson is to not follow anyone’s advice blindly. While I didn’t invest in Kraft because of Buffett in 2010, I know some may have invested in Kraft-Heinz (KHC) partly because the Oracle of Omaha was involved. I know that some investors bought Kraft-Heinz because it had some legendary names such as Warren Buffett’s Berkshire Hathaway, as well as the superstar team at 3G Capital involved. Just a couple of years ago, there was a lot of great coverage of that investment. The conclusion is always to do your own research before investing. Even the best investors in the world make mistakes on a large portion of their investments. You never know if you are following them into one of their mistakes or one of their best investments. If you did not do the work to form an opinion on a company, you would not know whether to buy more, to simply hold or whether to sell. Reviewing the dividend growth universe for dividend increases is part of my monitoring process. For my review, I narrow my focus to the companies with a ten year streak of annual dividend increases. I do this in order to look at companies with a sufficiently long streak of dividend growth. The next step involves reviewing trends in earnings and dividends. I want to see earnings per share which are growing. Rising EPS can fuel future dividend growth. I also want to see dividend increases which are of decent size, and not done merely to maintain the streak of annual dividend increases. A steep deceleration in the dividend growth rate relative to the ten year average tells me that management is not very optimistic on their business. If this is coupled with a high payout ratio and stagnant earnings per share, I can tell that the dividend streak is nearing its end. Last but not least, I also want a decent valuation behind an investment. If I overpay dearly for an investment today, this means that the expectations for the first few years after I make the investment are already baked in the price. As a result, I want to void overpaying for an investment. Unfortunately, this is easier said than done. The Coca-Cola Company (KO) is a beverage company, manufactures and distributes various nonalcoholic beverages worldwide. The company provides water, enhanced water, and sports drinks; juices; juice, dairy, and plant based beverages; teas and coffees; and energy drinks. It also offers concentrates, syrups, beverage bases, source waters, and powders/minerals, as well as fountain syrups to fountain retailers, such as restaurants and convenience stores. The company raised its quarterly dividend by 2.60% to 40 cents/share. This marked the 57th year of consecutive annual dividend increases for this dividend king. Coca-Cola has managed to boost its dividends at an annual rate of 7.50%. Between 2009 and 2018, earnings per share went up slightly from $1.47 to $1.50. Analysts expect the company to earn $2.10/share in 2019. Coca-Cola is overvalued at 21.40 times forward earnings. The stock yields 3.60%. Given the lack of earnings growth since 2012, I believe that Coca-Cola is at risk of losing its status of a dividend king. While I will hold on to my shares for as long as the dividend is maintained, I will not be buying Coca-Cola stock anytime soon. I will also be allocating my dividend income elsewhere. Check my analysis of Coca-Cola for more information about the company. NextEra Energy, Inc. (NEE) generates, transmits, distributes, and sells electric power to retail and wholesale customers in North America. The company raised its quarterly dividend by 12.60% to $1.25/share. This marked the 25th consecutive annual dividend increase for this newly minted dividend champion. The latest increase was higher than the ten year average of 9.60%/year. The company managed to grow its earnings from $3.97/share in 2009 to an adjusted earnings of $7.70/share in 2018. Analysts expect the company to earn $8.40/share in 2019. Unfortunately, this utility is overvalued at 22.40 times forward earnings. NextEra Energy may be worth a second look on dips below 20 times earnings. NextEra Energy yields 2.70%. Cohen & Steers, Inc. (CNS) is a publicly owned asset management holding company. Through its subsidiaries, the firm provides its services to institutional investors, including pension funds, endowments, and foundations. It manages separate client-focused equity, fixed income, multi-asset, and commodity portfolios through its subsidiaries. Cohen & Steers managed to increases its quarterly dividend by 9.10% to 36 cents/share. This marked the tenth consecutive year of annual dividend increases for Cohen & Steers. The ten year dividend growth rate is 5.20%. Between 2008 and 2018, the company managed to grow its earnings from 43 cents/share to $2.40/share in 2018. Analysts expect the company to earn $2.19/share in 2019.The stock sells at 18.50 times forward earnings and yields 3.50%. Essex Property Trust, Inc. (ESS), an S&P 500 company, is a fully integrated real estate investment trust (REIT) that acquires, develops, redevelops, and manages multifamily residential properties in selected West Coast markets. Essex currently has ownership interests in 245 apartment communities with an additional 6 properties in various stages of active development. The REIT announced a 4.80% increase in its quarterly dividend to $1.95/share. This increase was slightly lower than the ten year dividend growth rate of 6.30%. This increase marked the 25th year of annual dividend increases for this newly minted dividend champion. The REIT managed to grow FFO/share from $6.14 in 2008 to $12.76 in 2018. The REIT sells for 21.90 times FFO and yields 2.80%. I find it overvalued today, but may consider it on dips. Xcel Energy Inc. (XEL) engages primarily in the generation, purchase, transmission, distribution, and sale of electricity in the United States. It operates through Regulated Electric Utility, Regulated Natural Gas Utility, and All Other segments. The company raised its quarterly dividend by 6.60% to 40.50 cents/share. This marked the 16th year of consecutive dividend increases for Xcel Energy. Over the past decade, it has managed to grow its dividends at a rate of 4.80%/year. Between 2009 and 2018, the company managed to boost its earnings from $1.48/share to $2.47/share. Analysts expect the company to earn $2.61/share in 2019. The stock is overvalued at 21 times forward earnings and offers a dividend yield of 3%. Analog Devices, Inc. (ADI) designs, manufactures, and markets integrated circuits (ICs), algorithms, software, and subsystems that leverage analog, mixed-signal, and digital signal processing technologies. The company increased the quarterly dividend to shareholders by 12.50% to 54 cents/share. The increase was higher than the ten year average of 9.40%/year. It also marked the 17th year of annual dividend increases for this dividend achiever. Analysts expect the company to earn $5.47/share in 2019. The stock seems close to fully valued at 19.70 times forward earnings and offers a dividend yield of 2%. Genuine Parts Company (GPC) distributes automotive replacement and industrial parts, electrical and electronic materials, and business products in the United States, Canada, Mexico, Australasia, France, the United Kingdom, Germany, and Poland. Genuine Parts Company boosted its quarterly dividend by 5.90% to 76.25 cents/share. This marked the 63rd year of dividend increases for this dividend king. Over the past decade, it has managed to grow its dividend at a rate of 6.30%/year. Genuine Parts Company has managed to grow earnings from $2.92/share in 2008 to $5.50/share in 2018. Analysts expect the company to earn $5.93/share in 2019. The stock is fully valued at 19.90 times earnings and offers a dividend yield of 2.80%. National Health Investors, Inc. (NHI) is a real estate investment trust specializing in sale-leaseback, joint-venture, mortgage and mezzanine financing of need-driven and discretionary senior housing and medical investments. NHI's portfolio consists of independent, assisted and memory care communities, entrance-fee retirement communities, skilled nursing facilities, medical office buildings and specialty hospitals. The company raised its quarterly dividend by 5% to $1.05/share. This marked the 17th year of consecutive annual dividend increases for this dividend achiever. The latest increases was slower than the ten year average of 6.30%/year. NHI has managed to grow FFO from $2.35/share in 2008 to $5.46/share in 2018. The REIT seems attractively valued at 14.70 times FFO and offers a dividend yield of 5.20%. Walmart Inc. (WMT) engages in the retail and wholesale operations in various formats worldwide. The company operates through three segments: Walmart U.S., Walmart International, and Sam's Club. The company raised its quarterly dividend by 1.90% to 53 cents/share. Wal-Mart’s dividend growth has slowed down significantly over the past five years. The ten year dividend growth rate is 8.30%/year. Between 2009 and 2019, Wal-Mart has managed to boost earnings per share from $3.39 to $4.91. Analysts expect the company to earn $4.76/share in 2019. I find Wal-Mart to be overvalued at 20.80 times forward earnings. The stock yields 2.10%. Given the lack of earnings growth over the past five years, and the slowdown in dividend growth, I am going to take a pass on the stock. Waste Management, Inc. (WM), through its subsidiaries, provides waste management environmental services to residential, commercial, industrial, and municipal customers in North America. The company increased its quarterly dividend by 10.20% to 51.25 cents/share. This marked the 16th consecutive annual dividend increase for this dividend achiever. Over the past decade, it has managed to boost distributions by 5.60%/year. Between 2009 and 2018, Waste Management has managed to boost earnings per share from $2.01 to $4.45. Analysts expect the company to earn $4.38/share in 2019. Waste Management may be worth a second look on dips below $88/share. The investor appetite for companies with resilient recession proof earnings streams is making the stock overvalued today at 22.20 times forward earnings. The stock yields 2.10%. Moody's Corporation (MCO) provides credit ratings; and credit, capital markets, and economic related research, data, and analytical tools worldwide. It operates through two segments, Moody's Investors Service and Moody's Analytics. The company raised its quarterly dividend by 13.60% to 50 cents/share. This marked the tenth year of annual dividend increases for Moody’s. In the past decade, Moody’s has managed to grow its dividend at an annual rate of 16%/year. Moody’s grew earnings from $1.87/share in 2008 to $6.74/share in 2018. Analysts expect the company to earn $7.95/share in 2019. Moody’s could be worth a second look on dips below $135/share. United Parcel Service, Inc. (UPS) provides letter and package delivery, specialized transportation, logistics, and financial services. It operates through three segments: U.S. Domestic Package, International Package, and Supply Chain & Freight. UPS boosted its quarterly dividend by 5.50% to 96 cents/share. This marked the tenth year of annual dividend increases for this newly minted dividend achiever. Over the past decade, UPS has managed to increase its dividends at an annual rate of 7.30%/year. Between 2009 and 2018, UPS managed to grow earnings from $2.14/share to $5.51/share. Analysts expect the company to earn $7.56/share in 2019. UPS is attractively valued at 14.70 times forward earnings and offers a yield of 3.50%. Digital Realty (DLR) is a leading global provider of data center, colocation and interconnection solutions. The REITs Board of Directors approved a 7% increase in the quarterly common stock cash dividend to $1.08 per share. This marked the 14th consecutive year of growing the dividend. The ten year annual dividend growth is 12.30%/year. Digital Realty Trust has managed to grow its FFO/share between 2008 and 2018 from $2.59 to $6.46. Digital Realty expects to hit FFO/share in the $6.60 - $6.70 range in 2019. Right now the REIT seems richly valued at 18.10 times FFO and offers an yield of 3.70%. It may be an interesting idea if it yields 4% or more. 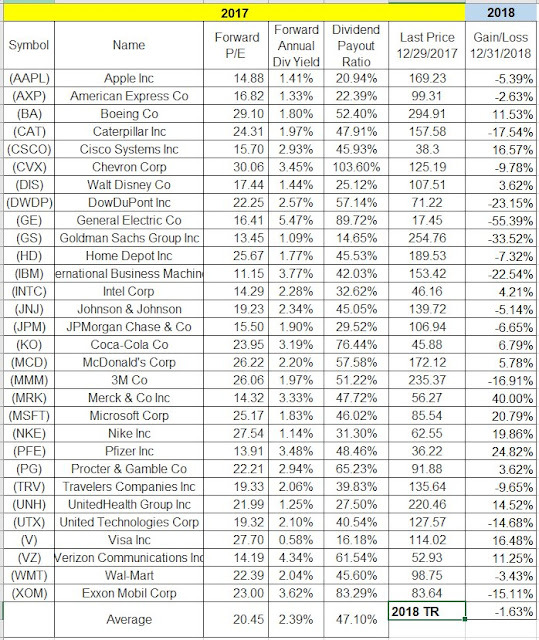 Readers of my Dividend Growth Investor newsletter just received a list of ten dividend growth stocks I plan to purchase on Monday. This is for a real money portfolio which I started in July, in an effort to educate investors on the process of building a portfolio to reach long-term objectives. I invest $1,000 in the ten companies I profile every single month, and let interested readers observe in real time how I build a dividend machine from scratch. The price for the monthly subscription is just $7/month to new subscribers who sign up for the service. The price for the annual subscription is only $76/year for new subscribers. If you subscribe at the low introductory rate today, the price will never increase for you. T. Rowe Price Group, Inc. (TROW) is a publicly owned investment manager. The firm provides its services to individuals, institutional investors, retirement plans, financial intermediaries, and institutions. It launches and manages equity and fixed income mutual funds. T.Rowe Price Group is one of the companies in My Dividend Growth Portfolio. In the past decade, the company has managed to increase dividends at an annual rate of 11.30%/year. Dividends went up faster than earnings per share over the past decade, thanks to a growing payout ratio. I would expect future dividends growth in the range of 7% - 8%/year over the next decade. T.Rowe Price has managed to increase earnings per share at an annual rate of 9.50%/annum over the past decade. Earnings rose from $2.40/share in 2007 to $7.27/share in 2018. The company is expected to earn $6.39/share in 2019. The main drivers behind future earnings growth will come from organic growth in assets under management, long-term growth in equity markets, and new product introductions. As assets under management increase from inflows and rising prices over time, the company achieves greater scale, which reduces per unit cost and increases overall profits. Two-thirds of assets under management are in retirement accounts, which tend to be stickier. T Rowe price has lower cost active managed funds, which have good performance ratings. Incidentally, the company has been able to grow organically by getting inflows from investors. Its focus on target retirement funds could benefit investors who are saving for retirement or approaching retirement. Inertia is a powerful force in the mutual fund business – once most ordinary investors make an investment, they are more likely to stick to it and maintain the status quo. This is great news for companies like T.Rowe Price, since it can collect fees for decades down the road on those investments. Another powerful tailwind is the growth in equity markets over the long haul. If we assume no inflows or outflows from clients, rising stock markets over time will increase the amount of assets under management. If you add in fresh inflows, and reductions in overall costs due to the effects of scale, you can see how long-term growth could easily reach 7% - 10%/year. The risk to that of course is that when share prices decline during the next bear market, earnings per share will be negatively affected. For example, between 2007 and 2009, earnings per share declined from $2.40 to $1.65, before rebounding in 2010. Another opportunity for growth includes expanding internationally, which can deliver diversification to the revenue stream and reach markets with untapped potential. The company has managed to reduce the amount of shares outstanding from 279 million in 2007 to 247 million in 2018. The downside to T.Rowe Price is that the company tends to distribute a of stock options to executives. This dilutes existing shareholders and reduces the impact of share buybacks. The dividend payout ratio increased from 31% in 2007 to 39% in 2018. I like that there is an adequate margin of safety in the dividend coverage. Currently the stock is attractively valued at 15.40 times forward earnings and yields 3.10%. I believe that forward earnings are discounting the true earnings potential for T.Rowe Price. Dividend growth investing involves the selection of companies based on a set of criteria such as valuation, strong brands, strong competitive advantages and long histories of annual dividend increases. It is not about chasing high yielders today, but more about finding the right stock that would grow distributions over time, and thus provide investors with inflation protection in their income. Only companies with strong business models are able to increase dividends every year for long stretches of time. Dividend investors should take the time to study these success stories as they unfold in front of their eyes and even consider adding some to their dividend portfolios. PPL Corporation (PPL) is a utility holding company, which delivers electricity and natural gas in the United States and the United Kingdom. The company operates through three segments: U.K. Regulated, Kentucky Regulated, and Pennsylvania Regulated. The company earned $2.47/share in 2008, and managed to grow that to $2.58/share in 2018. The anemic earnings growth explains the anemic dividend increase last week. It also explains the slow rate of dividend increases over the past decade of 3.30%/year. PPL announced 2019 earnings forecast range of $2.30 to $2.50 per share, with a midpoint of $2.40. PPL Corporation reaffirmed projected growth rate through 2020 and initiated 2021 earnings forecast range of $2.50 to $2.80 per share. Right now, the stock looks attractively valued at 12.70 times forward earnings. It offers a current yield of 5.40%, and a pretty adequate dividend payout ratio of 68.80%. While I believe that the dividend is safe, the lack of earnings growth means that dividend income will be unable to keep up with inflation over time. Nu Skin Enterprises, Inc. (NUS) develops and distributes anti-aging personal care products and nutritional supplements under the Nu Skin and Pharmanex category brands worldwide. Nu Skin raised its quarterly dividend by 1.40% to 37 cents/share. This is slower than the ten year average of 13.10%/year. Nu Skin is a dividend achiever with an 18 year track record of annual dividend hikes. The company earned $2.16/share in 2018, which is an improvement from the $1.02/share it earned in 2008. The 2018 figures are after an impairment and inventory write off charge. Nu Skin initiated 2019 EPS guidance of $3.80 to $4.05. Right now, the stock is attractively valued at 16.60 times forward earnings and yields 2.30%. I analyzed the company 6 years ago and cited a few reasons why I haven’t invested yet. These still apply for me. The Sherwin-Williams Company (SHW) develops, manufactures, distributes, and sells paints, coatings, and related products to professional, industrial, commercial, and retail customers primarily in North and South America, the Caribbean, Europe, Asia, and Australia. The company operates in three segments: The Americas Group, Consumer Brands Group, and Performance Coatings Group. The company raised its quarterly dividend by 31.40% to $1.13/share. This increase follows 40 consecutive years of dividend increases for this dividend champion. Over the past decade, the company has managed to grow dividends at an annual rate of 10.40%/year. Most of the dividend growth over the past decade occurred after 2013; dividends per share increased by a little over 10% between 2008 and 2012. Consolidated full year 2018 adjusted EPS of $18.53 excludes acquisition-related costs of $4.15 per share and other non-operating items of $2.71 per share. In comparison, Sherwin-Williams earned $4.02/share in 2008. The Company anticipates diluted earnings per share for 2019 in the range of $16.77 to $17.77 per share, including acquisition-related costs and other non-operating items of $3.63 per share. Right now the stock is selling at 24.70 times the top range of forward earnings and yields 1%. Sherwin-Williams may be worth a closer look on dips below $355/share. Tanger Factory Outlet Centers, Inc. (SKT), is a publicly-traded REIT headquartered in Greensboro, North Carolina that operates and owns, or has an ownership interest in, a portfolio of 44 upscale outlet shopping centers. This dividend champion raised distributions by 1.40% to 35.50 cents/share. This marked the 26th year of annual dividend increases for Tanger. Over the past decade, Tanger has managed to grow dividends at an annual rate of 6.70%. FFO available to common shareholders was $2.48 per share, or $243.3 million in 2018. This was a nice increase from the 2008 FFO figures of $1.18/share. The REIT offered 2019 FFO guidance of $2.31 - $2.37/share for 2019. The REIT is very cheap at 9.20 times expected FFO and yields 6.50%. Tanger Factory Outlet Centers has a low FFO payout ratio of 60%, and is one of the few REITs out there that are actually buying stock back. The downside risk is that the business seems to be gradually getting worse, as tenants are leaving, occupancy rates are dropping and base rents are not growing much. The slowing rate of dividend growth tells that management is cautious about business conditions. Check my analysis of Tanger for more information about the REIT. T. Rowe Price Group, Inc. (TROW) is a publicly owned investment manager. The firm provides its services to individuals, institutional investors, retirement plans, financial intermediaries, and institutions. It launches and manages equity and fixed income mutual funds. The company raised its dividend by 8.60% to 76 cents/share, which marked the 33rd year of annual dividend increases for this dividend champion. Over the past decade, this dividend champion has managed to grow dividends at an annual rate of 12.90%/year. T. Rowe Price Group posted diluted earnings per common share of $7.27 for 2018, which was an increase from the 2008 figure of $1.80/share. I find the stock to be attractively valued today at 13.40 times earnings and offers a sustainable dividend of 3.10%. The dividend payout ratio is at 41.80%. Equity LifeStyle Properties, Inc. (ELS) is a real estate investment trust. It engages in the management of portfolio of resort communities and lifestyle oriented properties. It operates through the Property Operations and Home Sales and Rentals Operations segments. The REIT boosted its quarterly dividend by 11.40% to 61.25 cents/share. Over the past decade, the company has managed to increase annual dividends at a rate of 21.80%/year. Funds from Operations rose from $1.60/share in 2008 to $3.91/share in 2018 The REIT is expected to generate $4.07-$4.17/share in FFO in 2019. The stock is overpriced at 26.10 times FFO and yields 2.20%. It may be worth a second look if drops below $81/share. L3 Technologies, Inc. (LLL) provides aerospace systems, communication, electronic, and sensor systems used on military, homeland security, and commercial platforms in the United States and internationally. The company raised its quarterly dividend by 6.25% to 85 cents/share. The increase marked the 16th year of annual dividend increases for this dividend achiever. The latest dividend increase was much slower than the ten year average of 12.10%/year. The company earned $10.05/share in 2018, which was an increase from 2008 earnings of $7.59/share. The growth in earnings per share was driven by share buybacks, as net income went down during the past decade. L3 Technologies is expected to generate $11.42/share in 2019. The stock is fairly valued at 18.90 times forward earnings and a forward yield of 1.65%. NorthWestern Corporation (NWE) provides electricity and natural gas to residential, commercial, and industrial customers. The company operates through Electric Operations and Natural Gas Operations segments. NorthWestern corporation hiked its quarterly dividend by 4.50% to 57.50 cents/share. The latest increase was slightly slower than the ten year average increase of 5.10%/year. NorthWestern posted results for 2018 of $3.94/share. The company is expected to earn $3.42/share in 2019. In comparison, Northwestern earned $2.02/share in 2008. The stock is fully valued at 19.20 times forward earnings and offers a decent yield at 3.50%. The dividend payout ratio is at 67.30%, which is good for a utility. It would be great if the utility is available at 15 – 16 times forward earnings. Omnicom Group Inc. (OMC), together with its subsidiaries, provides advertising, marketing, and corporate communications services. The company raised its quarterly dividend by 8.30% to 65 cents/share. This marked the tenth year of consecutive annual dividend increases for Omnicom. Over the past decade, it has managed to boost dividends at an annual rate of 14.90%. Omnicom earned $5.85/share in 2018, which was an increase over 2008’s earnings per share of $3.13/share. Right now, the stock looks fairly valued at 12.80 times earnings and yields 3.50%. Hasbro, Inc. (HAS), together with its subsidiaries, operates as a play and entertainment company. The company raised its quarterly dividend by 7.90% to 68 cents/share. This marked the 16th year of annual dividend increases for this dividend achiever. Over the past decade, it has managed to reward shareholders by raising distributions at a rate of 14%/year. The company earned $2/share in 2008. In 2018, Hasbro earned a little less than that, due to impairment charges, severance costs and the impact of Toys R US closing its operations. The adjusted earnings for 2018 stood at $3.85/share. Hasbro is expected to earn $4.69/share in 2019. Conservative investors may want to wait for a dip below 20 times adjusted earnings for 2018 before they consider the company. As part of my monitoring process, I review the list of dividend increases every week. I use this exercise to monitor developments in the companies I own. I also use this process to identify companies for further research. The process I use to look at companies is the same process I use to evaluate dividend growth stocks quickly. In my review of weekly dividend increases, I focus on the companies with at least a ten year streak of annual dividend increases. I also excluded companies with token dividend increases, such as Microchip Technologies (MCHP) and Healthcare Services Group (HSCG). After that, I focused on comparing the most recent dividend increase to the ten year average, followed by a review of the trend in earnings per share. This was all followed by a review of whether the stock is price well today. Avista Corporation (AVA) operates as an electric and natural gas utility company. It operates through two segments, Avista Utilities and AEL&P. The company raised its quarterly dividend by 4% to 38.75 cents/share. This marked the 17th consecutive annual dividend increase for this dividend achiever. Over the past decade, Avista has been able to boost dividends at an annualized rate of 8%. The company has managed to grow earnings from $1.36/share in 2008 to $2.07/share in 2018. Avista is expected to earn $2.19/share in 2019. Currently, the stock is fairly valued at 18.80 times forward earnings and spot a dividend yield of 3.80%. The stock may be worth a second look if it dips to 15 – 16 times forward earnings. CSX Corporation (CSX) provides rail-based transportation services in the United States and Canada. The company raised its quarterly dividend by 9.10% to 24 cents/share. This marked the 15th consecutive annual dividend increase for this dividend achiever. In addition to that, the company announced a $5 billion stock buyback. CSX has been able to boost dividends at an annualized rate of 13.10% during the past decade. The company has managed to grow earnings from $0.96/share in 2009 to $3.84/share in 2018. CSX is expected to earn $4.25/share in 2019. Right now the stock is attractively valued at 16.20 times forward earnings and yields 1.40%. It may be worth adding to my list for future analysis. Eversource Energy (ES), a public utility holding company, engages in the energy delivery business. The company operates in three segments: Electric Distribution, Electric Transmission, and Natural Gas Distribution. The company raised its quarterly dividend by 5.90% to 53.50 cents/share. This marked the 21st annual dividend increase for this dividend achiever. Over the past decade, this utility has rewarded shareholders with an average dividend raise of 9.40%/year. The company has managed to grow earnings from $1.67/share in 2008 to $3.11/share in 2017. Eversource Energy is expected to generate $3.28/share in 2018. The stock is overvalued at 21.40 times earnings and spots a dividend yield of 3.20%. Despite being a utility that grows, I would hate to pay too much for it. Perhaps it may be worth adding to my list for further review on dips below $65/share. 3M Company (MMM) operates as a diversified technology company worldwide. Last week, the company raised its quarterly dividend by 5.90% to $1.44/share. This marked the 61st year of annual dividend increases for this dividend king. During the past decade, 3M has managed to grow annual dividends at a rate of 10.50%/year. Between 2009 and 2018, 3M managed to boost earnings per share from $4.52 to $9.18/share. 3M is expected to generate $10.67/share in 2019. Currently, the stock is fairly valued at 18.70 times forward earnings and yields 2.80%. Archer-Daniels-Midland Company (ADM) procures, transports, stores, processes, and merchandises agricultural commodities, products, and ingredients in the United States and internationally. It operates through four segments: Carbohydrate Solutions, Nutrition, Oilseeds, and Origination. The company raised its quarterly dividend by 4.50% to 35 cents/share. This marked the 44th year of annual dividend increases for this dividend champion. Over the past decade, ADM has managed to grow dividends at an annual rate of 9.90%/year. I expect dividend growth to slow down, given the slow growth in earnings per share over the past decade. Between 2008 and 2018 earnings per share grew only from $2.79 to $3.19. This is after reducing the number of shares outstanding from 646 million in 2008 to 559 million in 2018. The company is expected to earn $3.65/share in 2019. Right now it is attractively valued at 11.70 times forward earnings and yields 3.35%. The lack of earnings growth is concerning to me, which is one reason why I am not interested in adding to my exposure, despite low valuation and safe dividend. Church & Dwight Co., Inc. (CHD) develops, manufactures, and markets household, personal care, and specialty products. The company operates through three segments: Consumer Domestic, Consumer International, and the Specialty Products Division. The company raised its quarterly divided by 4.60% to 22.75 cents/share. This marked the 23rd year of annual dividend increases for this dividend achiever. The company has managed to grow its dividends by 26.20%/year over the past decade. The strong dividend growth was possible due to the expansion in the dividend payout ratio during the past decade. It was also helped by strong earnings growth over the past decade. Between 2008 and 2018, Church & Dwight managed to grow earnings from $0.69/share to $2.27/share. The company is expected to earn $2.48/share. Right now the stock is overvalued at 25.50 times forward earnings and spots a dividend yield of 1.40%. Church & Dwight may be worth a closer look on dips below $49/share. Meredith Corporation (MDP) operates as a diversified media company in the United States, Europe, and Asia. It operates in two segments, National Media and Local Media. The company raised its quarterly dividend by 5.50% to 57.50 cents/share. This marked the 26th consecutive annual dividend increase for this dividend champion. Over the past decade, it has managed to boost distributions at an annual rate of 9.70%/year. The company’s earnings have increased from $2.83/share in 2008 to an estimated $2.93/share in 2019. The past decade has been challenging for a lot of traditional media companies. As a result, this small gain in earnings per share looks like a win. Without growth in earnings per share however, future dividend increases will be limited. Right now the stock is fairly valued at 17.90 times forward earnings and yields 4.40%. The forward dividend payout ratio is high at 78% today however, which further limits the potential for future dividend increases. I find the stock to be a hold in my opinion. I am unsure about initiating a position there. Simon Property Group (SPG) is a global leader in the ownership of premier shopping, dining, entertainment and mixed-use destinations. The REIT owns properties across North America, Europe and Asia that provide community gathering places for millions of people every day and generate billions in annual sales. The REIT boosted its quarterly dividend by 2.50% to $2.05/share. The increase is a 5.10% year over year increase in the quarterly distribution. The year 2019 will be the tenth consecutive year of annual dividend increases for Simon Property Group. The REIT generated FFO/share of $12.13 in 2018. Simon Property Group estimates that FFO will be within a range of $12.30 - $12.40/share in 2019. In comparison, FFO/share was $6.75 in 2008. They REIT looks fairly priced at 15 times forward FFO and yields 4.45%. The FFO payout ratio also seems sustainable at 67%. While the low expected growth and the fact that dividends were cut in 2009 seem like a red flag, I will add this REIT to my list for further research. Bemis Company, Inc. (BMS) manufactures and sells packaging products in the United States, Brazil, other Americas, Europe, and the Asia-Pacific. It operates through three segments: U.S. Packaging, Latin America Packaging, and Rest of World Packaging. The company raised its quarterly dividend by 3.20% to 32 cents/share. This marked the 36th consecutive year that Bemis has increased its dividend payment. The dividend increase is in line with the ten year average of 3.50%/year. Bemis has managed to grow earnings from $1.61/share in 2008 to $2.36/share in 2018. The company is expected to earn $2.79/share in 2019. However, Bemis is going to be acquired this year, which means that none of this may matter. It may be helpful if the deal doesn’t go through however. Bemis sells for 21.40 times earnings and yields 2.50%. The stock seems overvalued. However, this seems to be the price for a buyer to purchase the whole business. Union Pacific Corporation (UNP) operates railroads in the United States. Union Pacific raised its quarterly dividend by 10% to 88 cents/share. This marked the 13th consecutive annual dividend increase for this dividend achiever. During the past decade, Union Pacific has managed to grow its dividends by 20.70%/year. This was supported by strong growth in earnings per share between 2008 and 2018 from $2.27 to $7.91. The company is expected to generate $9.06/share in 2019. Right now, the stock is fairly valued at 17.80 times forward earnings and yields 2.20%. Primerica, Inc. (PRI) distributes financial products to middle income households in the United States and Canada. The company operates in three segments: Term Life Insurance; Investment and Savings Products; and Corporate and Other Distributed Products. The company raised its quarterly dividend by 36% to 34 cents/share. This marked the tenth year of annual dividend increases for this newly minted dividend contender. The five year dividend growth rate is an annualized 17.80%. Primerica managed to grow earnings from $2.24/share in 2008 to $7.35/share in 2018. The company is expected to earn $7.21/share in 2019. Primerica has managed to reduce the number of shares outstanding from 75 million in 2008 to 44 million in 2018. Right now, the stock is fairly valued at 16 times earnings and spots a dividend yield of 1.15%. Prudential Financial, Inc. (PRU) through its subsidiaries, provides insurance, investment management, and other financial products and services in the United States and internationally. It operates through U.S. Individual Solutions, U.S. Workplace Solutions, Investment Management, and International Insurance divisions. Prudential increased its quarterly dividend by 11.10% to $1/share. This marked the 11th year of annual dividend increases for the dividend achiever. Prudential has been able to grow dividends at an annualized rate of 20% over the past decade. This was possible due to the dividend cut in 2008, which makes dividend growth look better than what it should have been. The company managed to grow earnings from $7.61/share in 2007 to $9.50/share in 2018. Right now, the stock is fairly valued at 9.60 times earnings and yields 4.40%. Prudential may be worth adding to the list for further research.